Ibrahim (a.s.) was capable of combining two aspects in his personality: the father, and the prophet. Being a father, Ibrahim (a.s.) attempted to bring his son closer to Allah so that he would enjoy his mercy and blessings. In doing so, he was a prophet enjoining good and forbidding evil with his son just like any other human being. He was a messenger to his son and other men as well, unlike some who tend to preach all people but give his family or children absolute freedom, leaving them on their own. 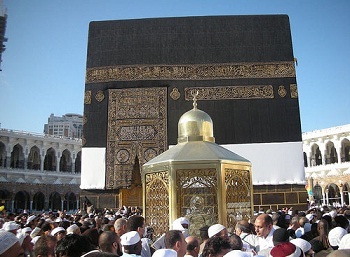 Jacob, the grandson of Ibrahim (a.s.), lived an Islamic and prophetic life and conversed with his children in the exact same manner as prophet Ibrahim (a.s.). We may not find in the Quran accurate details regarding the educational method that Ibrahim (a.s.) and Isaac (a.s.) adopted when dealing with their sons, Ismael (a.s.) and Jacob (a.s.) respectively. Taking into consideration the spiritual atmosphere Ibrahim set for his children, in addition to their tendency to receive exhortation, and the lives they lives and which ultimately insider them, we find out that the mentioned factors produced a highly favorable outcome among Ismael, Isaac, and Jacob (a.s.).